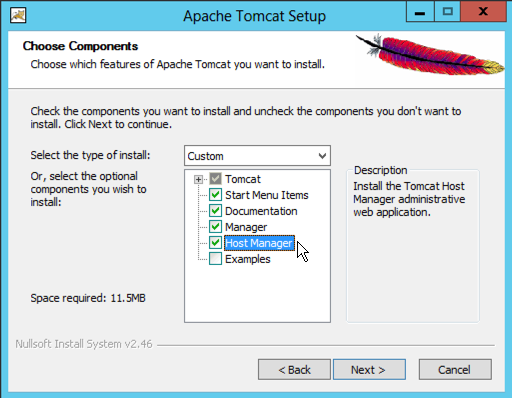 In part one of this series, I covered the installation of Tomcat. Now we are ready to get an instance of Solr up and running. Download Solr 4.10.3 from http://lucene.apache.org/solr/downloads.html. Since we are installing on a Windows machine, you will want to get the .zip file version of the download. Extract the contents of the .zip to a temporary location of your choice. 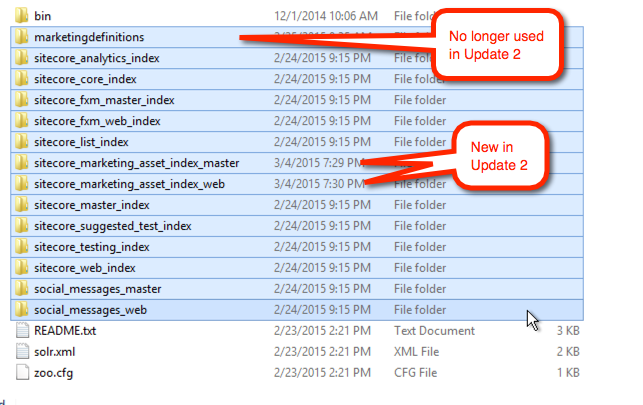 Find the \dist folder in the extracted solr-4.10.3 directory. Rename the solr-4.10.3.war to solr.war and copy the file to the Tomcat’s \webapps folder. 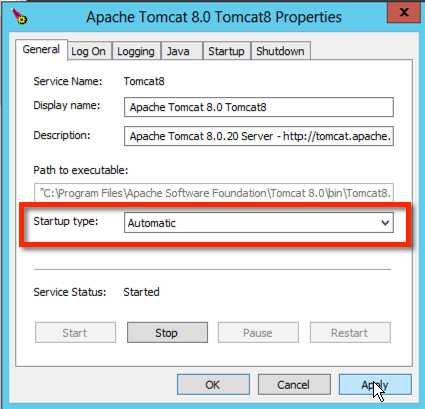 The path in my environment was C:\Program Files\Apache Software Foundation\Tomcat 8.0\webapps. 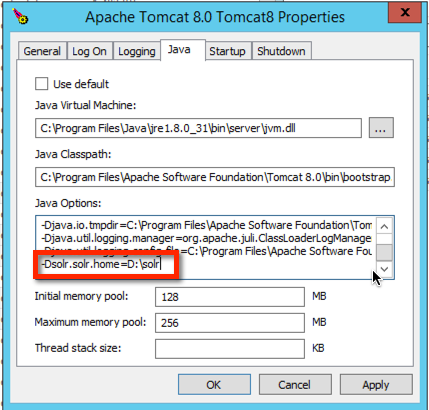 Create an empty Solr home folder. 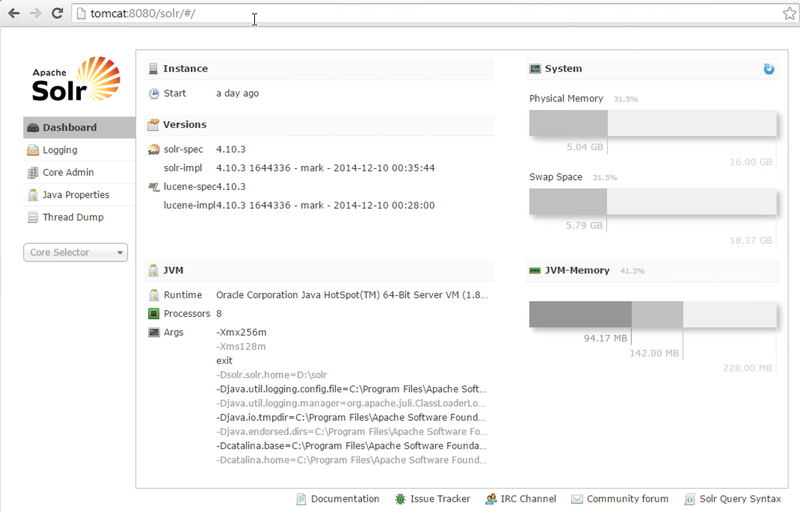 This will be the permanent place of residence on your machine for your Solr instance. For example, D:\solr is where I put my Solr instance. Find the \example\solr folder in the extracted solr-4.10.3 directory. Copy the contents of \example\solr to the empty Solr home folder you just created in step 4. Find the \example\lib\ext folder in the extracted solr-4.10.3 directory. Copy the contents of \example\lib\ext to Tomcat’s \lib folder. 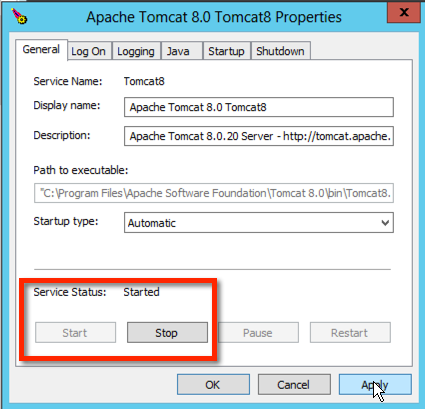 The path in my environment was C:\Program Files\Apache Software Foundation\Tomcat 8.0\lib. 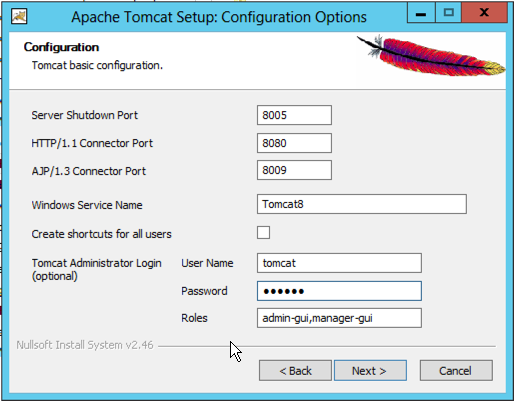 Stop/start Tomcat and try browsing to your Solr instance. 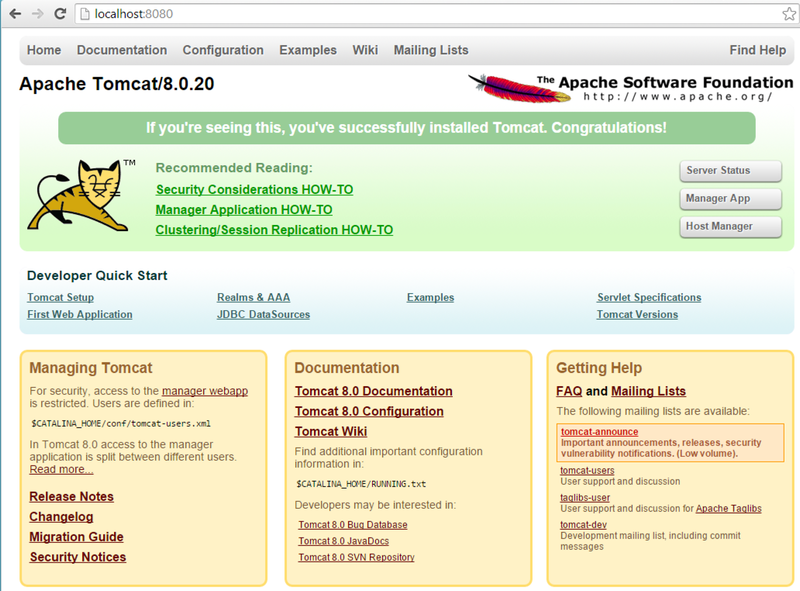 For example, http://tomcat:8080/solr. In the third and final post of this series I'll show you how to get Sitecore and your shiny, new Solr instance working together. 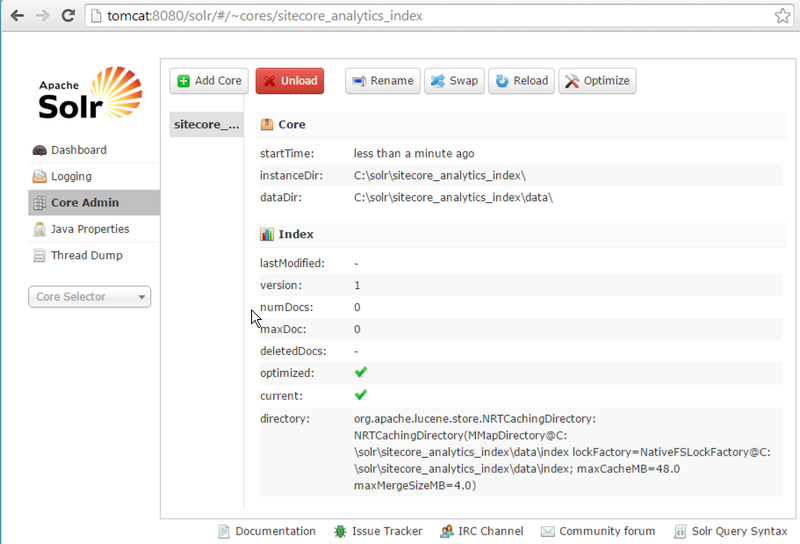 Dan Solovay has a great blog post that details how to setup Solr with Sitecore 7. One potential problem stood out though: Sitecore didn't play well with Solr 4.8.x or higher due to an assumption Sitecore made about Solr's schema. If you, like me, read this and had reason to hesitate then I say worry not! Sitecore has provided a solution that will allow you to deploy Solr 4.8 and later to your environment. In a nutshell, the fix is to modify the Solr's schema.xml file. enclose all <field> and <dynamicField> elements in the <fields> tag. enclose all <fieldType> elements in the <types> tag. Pass the modified schema.xml file to the Build Solr Schema Wizard to add the Sitecore specific specific configuration. Put the resulting file to the configuration folder of the Solr core. Reload the core to apply schema changes.